Hockenheim: Rising star Charles Leclerc topped the German Grand Prix’s third and final free practice reduced to a risky 10 minutes’ frolic by heavy rain on Saturday. 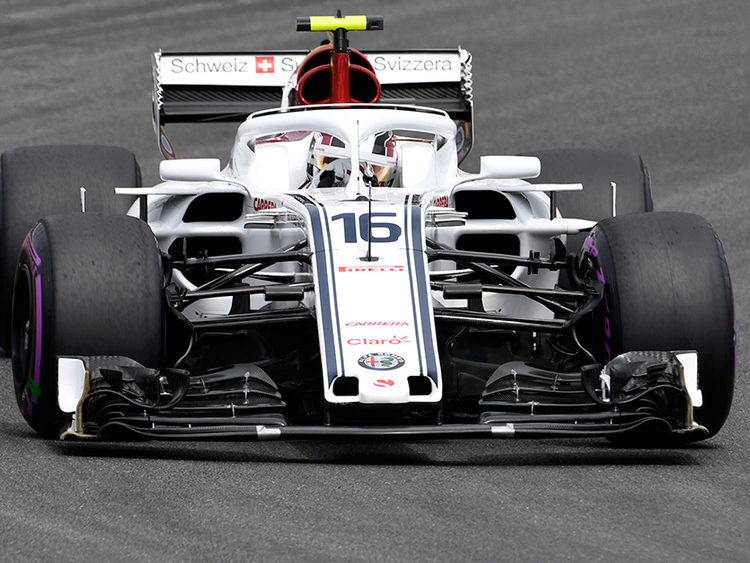 It was the first time the 20-year-old Monegasque rookie had been quickest in an official practice session at a Grand Prix and confirmed his potential after a run of promising results for Sauber. Leclerc, widely tipped to be moving to Ferrari for 2019, clocked a best lap in one minute and 34.577, outpacing his Sauber teammate Marcus Ericsson by four-tenths of a second. Russian Sergey Sitorkin was third for Williams ahead of local hero and championship leader Sebastian Vettel in his Ferrari and Pierre Gasly of Toro Rosso. New Zealander Brendon Hartley was sixth in the second Toro Rosso ahead of the second German driver in F1 Nico Hulkenberg of Renault, Kimi Raikkonen in the second Ferrari and Canadian Lance Stroll in the second Williams. The rest of the field did not set a lap time in the session with Valtteri Bottas going out in the final minutes, but pitting immediately and defending four-time world champion Lewis Hamilton also not recording a lap time. Hamilton was understood to be unwell, but a team spokesperson said “he is not ill and he will drive in FP3 if we go out in these conditions”. Leclerc had earlier said he was focussed on building a successful F1 career and winning races and titles in memory of his friend and mentor Jules Bianchi, who died three years ago from injuries sustained at the 2014 Japanese Grand Prix. “He was extremely important,” he told crash.net. My father and his father were best friends, and our families are extremely close. “I drove for the first time karting on his track and he was there. Then I think we were meeting up every Wednesday and on weekends just to drive rental karting. “These are probably the best memories I have in racing. It was so much fun, and so much learned also.